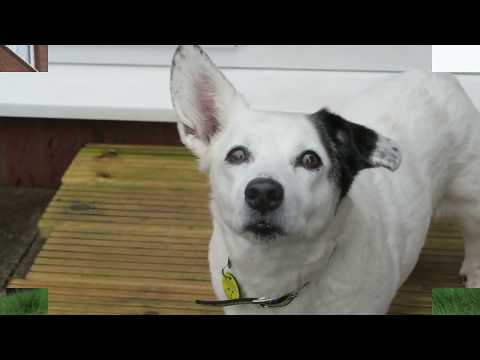 Tilly is a 14 year old Jack Russell Terrier. She is a sensitive girl and will need time to settle in her new environment. Tilly will need to be the only dog in the home, although she will tolerate dogs when out and about as long as they are not jumping on her. Unfortunately, she is unable to live with cats or small furries. Tilly does enjoy her home comforts and would love to find her forever home. Tilly is looking for a quiet adult only home. She is house trained and can be left for a few hours. She does travel well in the car and enjoys trips to the beach. Once settled in her new environment her character will start to shine through. PLEASE NOTE: Tilly is in a foster home and not currently here at the centre. If you are interested in Tilly please come down to the centre to fill out a home finding questionnaire. Thank you for your interest in Tilly, who is based at Bridgend. Please note this is not a reservation on this dog. To start the rehoming process you will need to go to a rehoming centre for a quick chat. Please find information below about what to expect during the rehoming process. We hope to see you soon.